The paper investigates the buckling responses of functionally graded material (FGM) plate subjected to uniform, linear, and non-linear in-plane loads. New nonlinear in-plane load models are proposed based on trigonometric and exponential function. 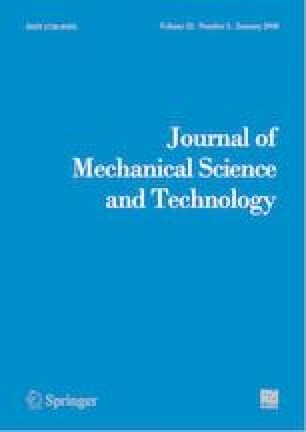 Non-dimensional critical buckling loads are evaluated using non-polynomial based higher order shear deformation theory. Navier’s method, which assures minimum numerical error, is employed to get an accurate explicit solution. The equilibrium conditions are determined utilizing the principle of virtual displacements and material property are graded in the thickness direction using simple Voigt model or exponential law. The present formulation is accurate and efficient in analyzing the behavior of thin, thick and moderately thick FGM plate for buckling analysis. It is found that with the help of displacement-buckling load curve, critical buckling load can be derived and maximum displacement due to the instability of inplane load can be obtained. Also, the randomness in the values of transverse displacement due to inplane load increases as the extent of uniformity of the load on the plate is disturbed. Furthermore, the parametric varying studies are performed to analyse the effect of span-to-thickness ratio, volume fraction exponent, aspect ratio, the shape parameter for non-uniform inplane load, and non-dimensional load parameter on the non-dimensional deflections, stresses, and critical buckling load for FGM plates. Simran Jeet Singh is pursuing Ph.D. in MIED, IIT Roorkee, India. S. P. Harsha is working as a Professor in MIED, IIT Roorkee, India.